Designed specifically for the American frame cabinet, Blum’s COMPACT hinge series provides advantages of quick installation and adjustment. They have a small profile and are available with various mounting options. 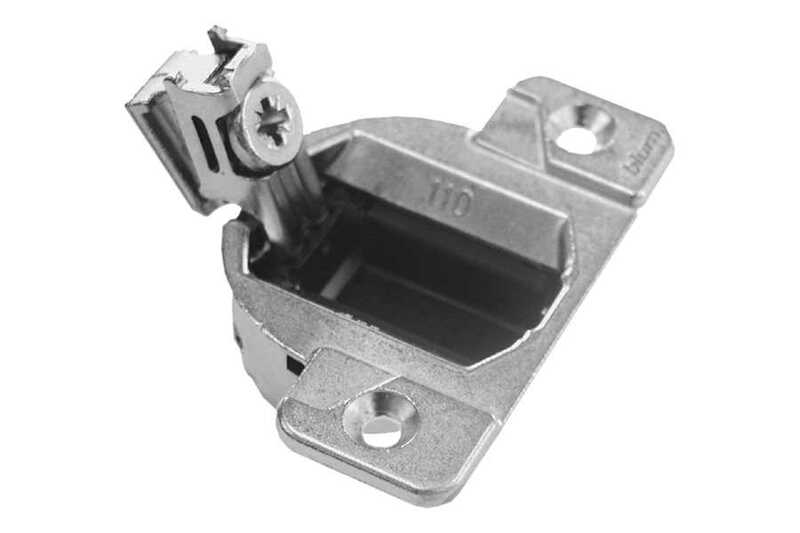 All Blum hinges are nickel-plated and incorporate self-closing action which eliminates the need for additional hardware. • Various door overlays can be achieved with the two piece 33 series and the one piece 38, 38M, 38A and 39A series. COMPACT features self-closing action, height adjustment and are available with or without independent side-to-side adjustment. COMPACT 33 hinges are designed to slide-on to mounting plates. The cup boring pattern is the same as Blum’s CLIP series.